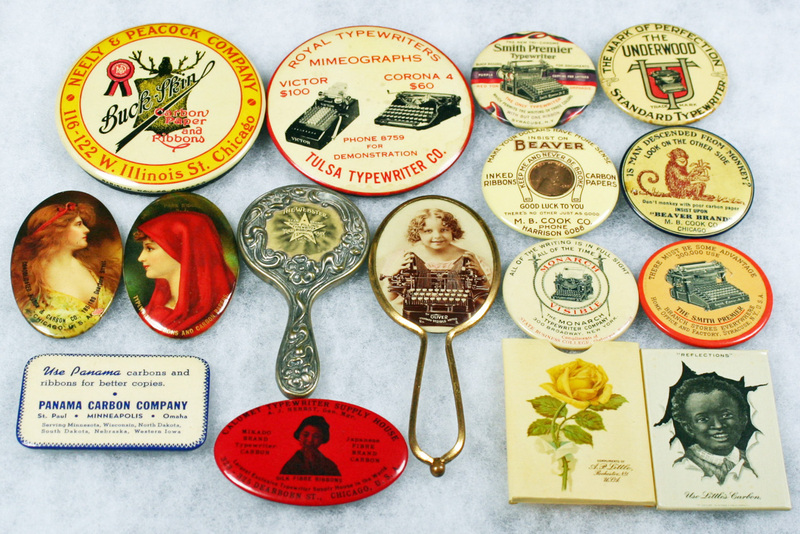 There are about 40 Pocket Mirrors pictured here that are related to typewriters and ribbon & carbon companies. Some are mundane but, others are very beautiful. They come in different sizes and shapes. All are pretty rare except for the Remington mirrors. They also can be quite expensive as pocket mirrors are collected by non-typewriter people. Some people have hundreds in their collections across many collecting categories and quite a few command 3 figure prices.